Perspective. 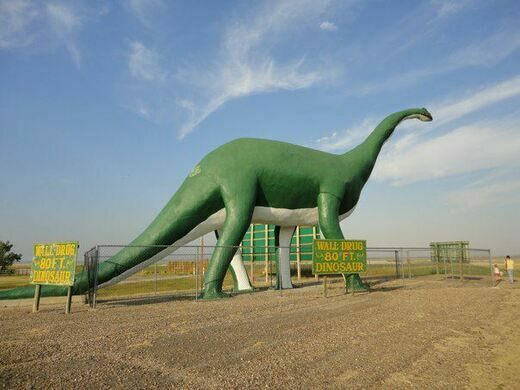 An 80ft dino from I-90. 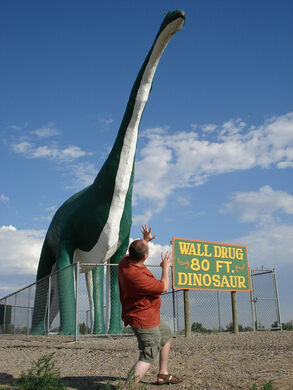 Among roadside attractions, Wall Drug is an icon: the granddaddy of tourist traps. Known as "The Hill of the Little Devils." 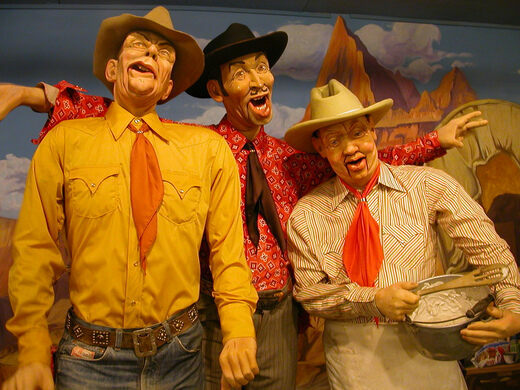 South of the Border, The Thing?, the kitschy cosmopolis that sprouted around Niagara Falls: all of them owe a debt to Wall Drug. 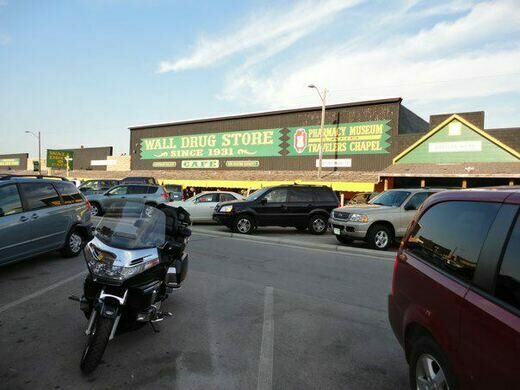 While the designation of “tourist trap” is certainly pejorative, the 80+-year-old Wall Drug wears the title proudly. 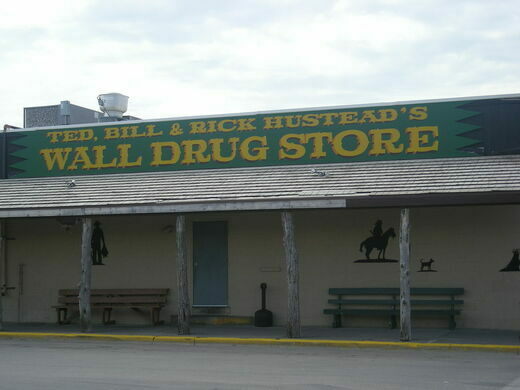 Wall Drug started simply enough when Ted Hustead purchased the South Dakota town of Wall’s drugstore in 1931. But it was Ted’s wife Dorothy who hit upon the idea that changed not just the drugstore, but the entire 231-person town of Wall. The idea: ice water. 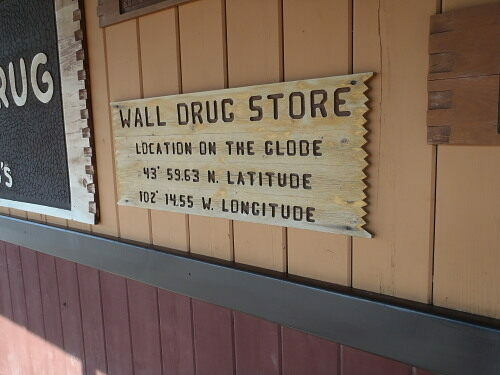 Wall had always been a small outpost in the middle of nowhere, but by the time Wall Drug opened the town had just become somewhere – or near somewhere at least. Sixty miles west of Wall, Mount Rushmore had just opened. 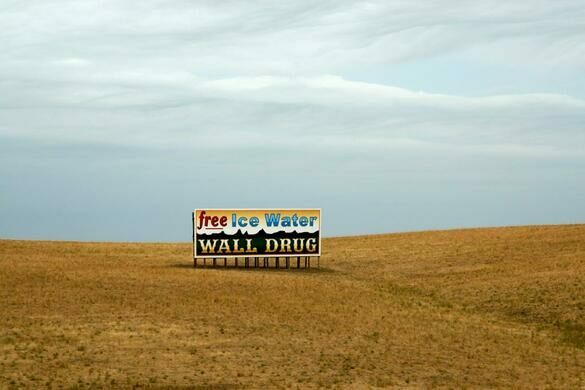 So in an attempt to attract business, Dorothy Hustead put up a sign advertising free ice water to parched tourists on their way to the attraction. It was a big hit. 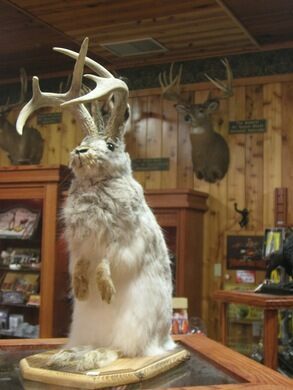 From then on Wall Drug grew under its own strange power, adding a bizarre assortment of fiberglass animals, including the iconic Wall Drug jackalope, giant dinosaurs, and more tchotchkes then you can shake a stick at, including an array of taxidermied jackalopes. 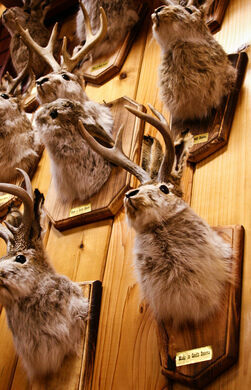 (It is unclear when or why jackalopes attained such iconic status for Wall Drug). 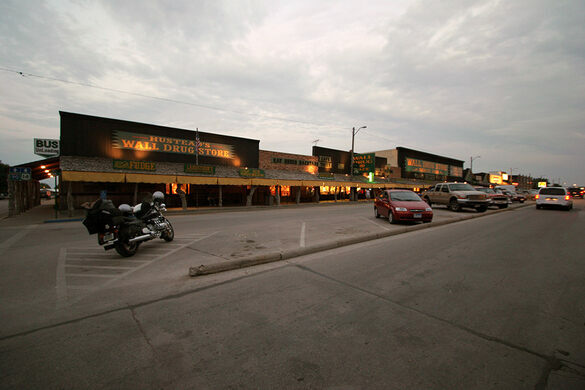 Wall Drug now has billboards some 500 hundred miles away–and many thousands of miles further, if you count those put up by fans–announcing the impending tourist trap all the way in Minnesota to the East and Billings, Montana to the West. If you are a honeymooner, veteran, priest, hunter, or truck driver, you can also get free coffee and donuts. They still give out ice water too. Some 20,000 cups of it a day. South Dakota's oldest operating brewery is housed inside a historic firehouse.